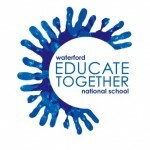 Homework Policy | Waterford Educate Together N.S. Encourage children to work independently as far as possible. Encourage children to organise themselves for homework. Have all books and materials at hand. Reviewed and ratified by Board of Management on ________________ (Date). It will be reviewed again by _______________________.